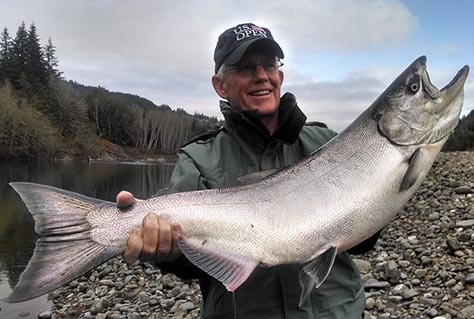 Rogue River Fishing is the best fall Chinook and winter steelhead fishing in Oregon, The Rogue River in southwestern Oregon in the United States flows about 215 miles in a generally westward direction from the Cascade Range to the Pacific Ocean. If you're interested in reeling in a 60-lb. salmon or 28-lb. 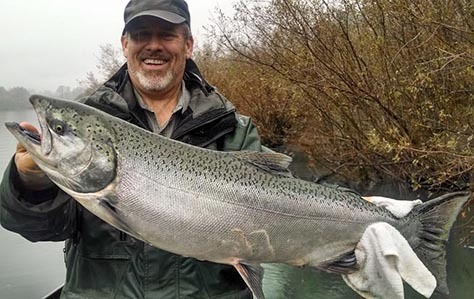 steelhead, then this river is perfect for your fishing charter. Come aboard our drift boat and we'll take you on a great fishing trip.